I have been making mini pizzas in muffin tins and I adore those. 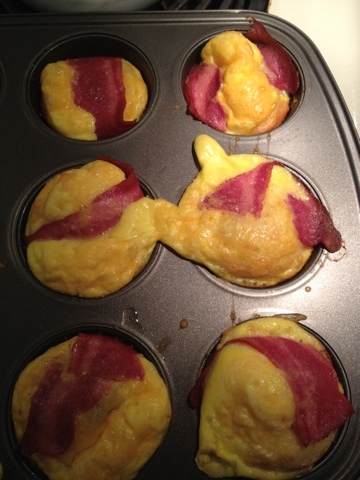 Today I created a breakfast muffin. 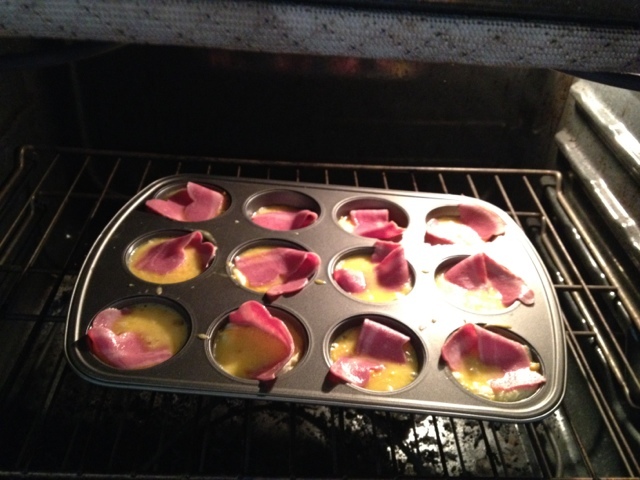 I added the tiniest amount of butter to each cup of the muffin tin, added the third if biscuit on top of the butter. I mixed egg, cheese, veggies and spices in a bowl and poured into each cup. Then added bacon on top.